Please scroll down to the bottom of this article for an exclusive response from its subject, Angie Kruger. It has been fifteen years since the disappearance of Manic Street Preachers’ lyricist and guitarist, Richey Edwards. A missing person since February 1995, his car was found at the Aust Service Station overlooking the Old Severn Bridge. He has not been seen or heard of since. Despite the ambiguous nature of his vanishing, his repeated references to suicide in interviews and lyrics lead many minds to draw the obvious disheartening conclusion. In November 2008, Edwards' family had him declared legally dead but nonetheless have not given up all hope of finding their missing loved one alive. When The Manic Street Preachers broke into the musical mainstream in the early 1990s, their name became synonymous with a certain literacy and intellectualism, due in part to Edwards’ (nicknamed the Minister Of Propaganda) acute intelligence and unabashedly well-read sentiments. His attempts to tackle head-on the existential questions of a post-Cold War world, together with interviews and lyrics infused with a political and historical knowledge turned on a generation of music fans to a counter-culture of numerous poets, playwrights, philosophers and artists, including Guy Debord, Arthur Rimbaud and Yukio Mishima. Before his disappearance, Edwards garnered what many at the time considered a somewhat fanatical following, mesmerised by his charisma and ability to articulate the tragic sublime. Each February sees numbers of the most dedicated fans visit the Severn Bridge to mark the scene with floral tributes and memorial cards. Another kind of lasting tribute has been the effect Richey has had on other artistes, not least his direct influence on writers of fiction, such as Emma Forrest’s 1998 book Namedropper and Ben Myers’ upcoming Richard: A Novel. Suffice to say, each fan found their way of understanding, or at least negotiating around his loss. However, five years after his mysterious vanishing, an intriguing new chapter was added to the mythology surrounding Richey and his disappearance. January 2000, and an English martial arts teacher by the name of Angie Kruger is visited by a ghostly apparition at the foot of her bed. She says: "A young man in a leather jacket, hands in pockets, asked me to go to the River Severn on the 1st of February to lay a wreath for him. We've been working together ever since." Public knowledge of Kruger’s story and alleged relations with said young man first emerged through the networks of those involved with the psychic and paranormal. Since then, she, with the ghostly apparition (known as her spirit guide), has travelled the world forging a career as one of the growing number of trance mediums who offer audiences an insight into the life after death experience. In 2006 Kruger published a short book on her experiences - Diary Of A Trance Medium. 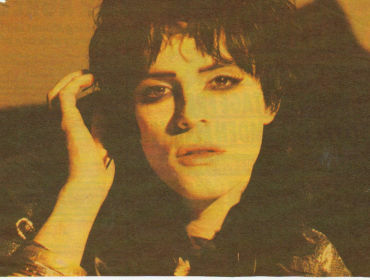 Co-written with her spirit guide, 'Richard', its front cover depicts a doe eyed, gaunt-faced young man portraying a resemblance to a photograph of one Richey Edwards taken shortly before his disappearance. Brief email correspondence with Kruger was enough to ascertain that the ‘Richard’ being channelled was allegedly the missing guitarist, who had chosen her as the living portal through which he sought to re-establish contact with the world. Richey was back and, according to Kruger, rather annoyed at his ex-band mates' new mellow musical direction. My own discovery of Kruger was in 2008, through the blog Living With Schizoid Affective Disorder - a sensitive and well-written account of one girl's experience with her diagnosed condition, by teenage Manic Street Preacher fan, Kelley Wise. One entry dealt with the side-effects of her medication, and saw her confess to hallucinating a visit from the spirit of her hero, Richey Edwards. Enter the online presence of Angie Kruger, who reassured Kelley that her episode was no hallucination. Moreover, Kruger was herself visited and had struck up a relationship with Edwards from across the mortal threshold. Some sceptics may wonder whether Kruger hadn’t targeted a ready-made constituency. An earlier cynical view sought to stereotype fans of Richey as morbidly suggestible, with journalists hamming up a supposed ‘Cult Of Richey’ based on the idea of the majority of fans being apparent disciples to Richey's every (often self-destructive) word and action. I followed a link that Kruger had left on the blog’s comment board, to discover her intriguingly titled website, www.angandrich.co.uk. The site, run by Kruger (and 'Richard'), details the beginnings of her partnership with Edwards - which differs to the version Kruger offers later. Edwards gives a retrospective from the 'other side' (he's apparently better now and regrets his negative behaviour on Earth) and there is a page showcasing Kruger’s tattoos in homage to the missing Manic. Most surprising was a section to purchase CDs and books recorded and written by Kruger and her alleged spirit guide, with even the chance to receive an email channelling ‘Richard’ straight to your inbox for £2.50 a reply. However, judging solely by her website, some may completely miss the connection. Indeed, Kruger’s careful ambiguity seems to want to avoid explicit reference to the band. Judging by her carefully worded output and use of images, she is indirect with her references to Richey Edwards perhaps demonstrating an intention to dodge accusations of libellous/slanderous behaviour from his living relatives. Yet for those receptive to the clues and ready to unlock the code of her public secret, Kruger’s unique selling point is her ability to channel Richard James Edwards of Blackwood band, the Manic Street Preachers. An advertisement on Kruger’s website showed that on June 12th, the Guiding Light Centre (a training centre for mediums and psychics in Barry) was offering an audience with 'Ange And Rich'. A £5 ticket offered 40 minutes in the duo's company, and the chance to ask Kruger questions before an assembled audience. Arriving at the venue shortly before the 2pm sitting, I was greeted by a modest-sized crowd consisting mostly of the elderly, who stood mingling on the shop floor. Kruger was immediately recognisable from the online photographs that filled her website, sporting a leopard-print top, combat trousers and fishnet gloves, complimented by heavily kohled eyes under a dyed black hairstyle. If there was any doubt about who she was aping, you'd only need to glance upon the exact replica of Richey's rose tattoo which adorned her left bicep. As the billed start time approached, the crowd were ushered into a cramped and airless basement beneath the shop floor. There was a brief wait before a middle-aged female member of staff introduced "Angie and Rich" to the expectant audience. "If you’ve ever seen the film Ghost with Whoopi Goldberg, the bit where the dead fat man jumps into her to communicate with the living? Well, that’s pretty much it." So far, so simple. Kruger then went on to advise the audience that Richard was great at answering questions regarding: "Life pathways, spiritual pathways and really challenging things like life on other planets... sort of like E.T.". She even invited questions that were "contradictory or inflammatory", but not before reminding the audience of her martial arts expertise! Beginning with the shutting of the eyes, Kruger entered into her deep trance, and within a few seconds the missing Manic returned to his home territory of South Wales, armed with a new and peculiarly unsteady Rhondda accent. ‘Richard’ started the proceedings by telling the audience that he would usually begin the show by speaking in the Welsh language, although here in his native Wales he felt ‘he didn’t need to’. The first of many strange declarations, as previously in researching Kruger I had seen her commence a show in Australia with snippets of some very basic Welsh language. Yet here in South Wales - where one would think the most appropriate place to use her very basic Welsh - she didn't. Stranger still was the thought of Richey Edwards suddenly embracing the Welsh language after a lifetime of its dismissal. The audience were then invited by the female staff member to raise their hands with any questions for Richard. I decide to leap in first with a question extending from her previous words. "As a Welsh speaker, I’m just curious as to how much Welsh you know. If I were to ask something simple along the lines of..." - I then followed on in Welsh by asking - "what school did you go to?" Kruger’s eyes started to flicker open slightly as she answered: "Erm, what school was I at? I’m not going to try and say which school I was at, but it would have been at... um... God, it was ages ago. I’m trying to think of the name of the damn place. I can’t actually remember the name of the school because it feels like such a long, long time ago. But my ancestors are teaching me more of it up here at the moment..."
Kruger then nodded towards the staff member - now playing master of the ceremonies - ready to answer the question from the next raised hand. Any further attempts I made to quiz her were very blatantly avoided. I assume I was perceived as a potential troublemaker. As for the remainder of the forty minutes, audience participation remained safely within her suggested parameters. Open questions about career paths, spirit guides and whether recently deceased friends were happy in the afterlife all permitted her to improvise without fear of contradiction. Frustratingly, Kruger ate up a lot of time by loitering up to ten minutes on these less challenging questions, which possibly kept her within her comfort zone. Sometimes she became so comfortable that she’d drop her newly-acquired accent altogether. When she did deliver something specific from the beyond, her hit-rate in delivering recognisable information for her interlocutors seemed lower than expected. "Did your doctor have a white coat?" "No." "Sorry, I’ve got amnesia today". "I see the spirit of a soldier around of you. Any soldiers in your family, past or present? Dunkirk ring a bell?" "No." Other subject matters touched upon in the forty minute show were chakras, red Indian warrior guides and the reassurance that people’s pets too had an afterlife. For somebody familiar with the interests of Richey Edwards pre-disappearance, this change of direction was surprising. His new sensibility, and apparent level of knowledge, seemed to overlap with Kruger’s own. Was she filtering his interjections to suit her agenda? Or perhaps her version of Edwards’ persona constituted a reduction of his renowned intellect to a level comfortably accommodated by her? Richey’s well-documented literary interests ventured far beyond Kruger’s accessible references, for her intellectual palette seems comparatively limited and almost completely reliant on the forefront of film culture: "He’s like from Ancient Greece. Has a Trojan helmet on like in the film, Troy." Throughout the show, Kruger also relied heavily on the psychic technique known as the Barnum Effect, where the clairvoyant applies very basic generalisations to members of the audience: "You like music", "You tend to be overly critical of yourself", statements in which nearly every member of the audience could find subjective validation - and frighteningly seemed to lap up. For many of the audience in the twilight years of their lives, Kruger seemed to offer them a beacon of light of sorts; hope and reassurance through words and sentiments regarding the other side. This is something I have no problem with, for one must take hope where one can find it and nobody was forcing these individuals unwillingly to partake. Yet the question still remains: why bring Richey Edwards into the equation? A man who still has living family campaigning to know of his whereabouts; a man who is still fresh in the memories of so many? There was time for one last question, and considering the advanced years and apparent vulnerable nature of the majority of the audience, conditions hardly begged for confrontation. I decided I'd talk to Kruger in a private sitting directly after the show and ask about her use of Edwards, but not before speaking up with one last question. "What's it like on the other side, and have you tried to make contact with people you've missed..."
Before I had a chance to finish my question, Kruger interrupted enthusiastically: "I've had connections with my loved ones for years... where they watch me but don't communicate". She then veered off and started talking about what I can only describe as an idyllic, childlike view of the afterlife. "All like-minded people are put together. The suicide bombers are put together, and the sensitive ones like me who took their own lives are put together and helped". Most intriguing was Richey’s allusion to his ‘best friend.’ "He's in touch with my medium and he was my best-est friend ever and did everything to try and stop me from suicide. I'm looking forward to having more correspondence with him." For anyone in the know, Edwards’ best friend - according to the media - was the Manics’ bassist, Nicky Wire. As self-styled 'glamour twins,’ it’s widely believed by fans that the two were inseparable. Kruger was probably aware of this fact, for it transpires that she herself was a big fan of the band during Richey’s four years as part of the quartet. Kruger, no stranger to the band’s fan culture, could be trying to acquire similar devotion to that received by Richey. He could have been an easy mark, for his persona was ready for the taking, sans any real hard graft. The night ended on a promotional note, as 'Richard' urged listeners to tune into his new radio show if they wished to hear more of his wisdom, and again with a dramatic flickering of the eyes, Angie Kruger was back in the room. She thanked the audience for their time and advertised her post-show private sittings, £20 for 20 minutes and the chance to ask Richard "anything... anything you want", which seemed to go down very well with the excitable audience. Back on the shop floor, approaching Kruger's table with my money, I was a little surprised to have her turn away from myself and begin a conversation with the individual in the booth beside her. I waited patiently for a few minutes until Kruger begrudgingly turned her attention towards me. I was then even more surprised to be told that there were no more vacant spaces for her private sittings - despite her earlier advertisement. Kruger then proceeded to turn her attention back to her fellow psychic, ignoring any further questioning. I had seen all I needed to see, and left the venue feeling more than a little disheartened at my inability to engage Miss Kruger in a conversation which would draw out more information about her supposed spirit guide. Based on the evidence of the night’s proceedings, the only conclusion I can draw is that Kruger is a fraud. Whilst this doesn't apply to all psychics - for only a fool would declare themselves adamant on either side of the divide - the personal details Kruger offers about Richey Edwards are things that anyone who's read a book or web page about him would already know. There's no insider information here, and nothing but her misplaced confidence to back up her bombastic claims. Perhaps Kruger should have taken on less of a challenge in her choice of spirit guide from the beginning a soldier from Dunkirk perhaps? - or at least endeavour to get her facts right. It’s a sad day when somebody is allowed to behave in such a way at the expense of exploiting such a tragic situation. The family and close friends of Edwards, together with his more fragile and vulnerable fans, surely deserve to have their loved one and their hero treated with more care and respect whether he now resides 'over the other side' or not. "I know there has been much debate over the years about this subject and I do have a Spirit Guide called Richard (99% of mediums have guides). However there must be 1000s of people in the Afterlife with that name. "I have no way of knowing if this is the same person that all this fuss is about, because I have never had a private sitting with anyone who knew him well. As a medium, we work by giving evidence of survival of the human spirit to our clients via the often very personal or obscure messages that we recieve through our abilty to *tune into* the Spirit World. Usually these messages would be memories of things they shared etc and in this I am only the mediator. "I have worked with 1000s of people world wide with a very high degree of success. I also work for Haunted Cornwall FM. I have a good track record. I DO have a great deal of information written down from my Guide. But none of it means anything to me. "The only way I could give a definitive yes or no would be if someone close could tell me if the information resonated with them. And as I have said my door will always be open for this. "I would also like to add that this actually has very little to do with my work, which as a whole is a much bigger picture. Mostly it is about bringing comfort, closure and guidance to those who employ my skills, that and also promoting Spirituality." DISCLAIMER: theSprout does not draw the conclusion that Angie Kruger is a fraud. 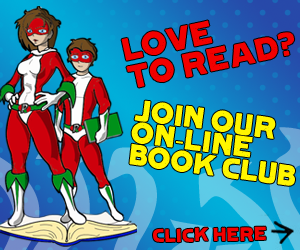 As with all articles uploaded to the CLIC family of websites, the views within are solely those of the young people who write them as part of a platform of expression. For more information please read our Terms And Conditions and Acceptable Use Policy. Comments are welcome below. What a fascinating and thought provoking article, a sincere thank you for posting this! Would be good to get a comment from the Manics on this, I know Nicky's brother, Patrick Jones, is a fan of theSprout and has been interviewed here before?